Health campaigners have expressed disappointment that revenue from a new tax on sugary drinks will not be ring-fenced to fund initiatives to tackle obesity and promote healthy lifestyles. Michael Noonan, the finance minister, has signalled that he will not set aside funding from the tax for any specific purpose. In response to a parliamentary question from Caoimhghín Ó Caoláin, a Sinn Féin TD, the minister confirmed that it was his intention to introduce a tax on sugary drinks in April next year to coincide with the introduction of a similar tax in Britain. The UK government has signalled that income from the tax will be ring-fenced for school sports up to 2020 as well as being used to expand breakfast clubs and fund some schools in the most disadvantaged areas to extend their school day. Mr Ó Caoláin expressed disappointment at Mr Noonan’s reply, saying that it represented “a missed opportunity”. The finance minister’s stance sets him up for a potential clash with Simon Harris, the health minister, whose department has called for the proceeds of the tax to be reinvested towards health promotion and early intervention activities. While welcoming the introduction of the tax, the Irish Heart Foundation said that its impact could have been magnified by using the revenue to combat obesity, particularly among children in disadvantaged areas. Organisations including the Association for Health Promotion Ireland, Children’s Rights Alliance, Early Childhood Ireland, the Royal College of Physicians of Ireland, the Siptu union, Social Justice Ireland and the Irish Dental Association have called for funding for the tax to be part or wholly ring-fenced for programmes to address childhood obesity and food poverty. Mr Noonan said earlier this year that revenue from the new tax was likely to be considerably lower than original estimates. Despite predictions that revenue would be about 17 per cent below initial targets, Mr Noonan said that the benefits of the tax were already being felt because drinks manufacturers had already begun to lower the sugar content of their products. The Department of Finance had originally estimated that 60 per cent of all soft drinks sold in Ireland would be subject to the tax. Mr Noonan said that figure was subsequently revised downwards to about 50 per cent. The minister explained that changes to product recipes by the soft drinks industry had reduced the number that would be subject to the tax. The structure, scope and rate of the tax are still to be finalised. Mr Noonan said that officials from his department were in contact with their UK counterparts to ensure that it would operate “efficiently, fairly and effectively”. The Department of Finance figures have shown that a 5 cent tax on a 330ml can of soft drink would raise €42.2 million per annum. 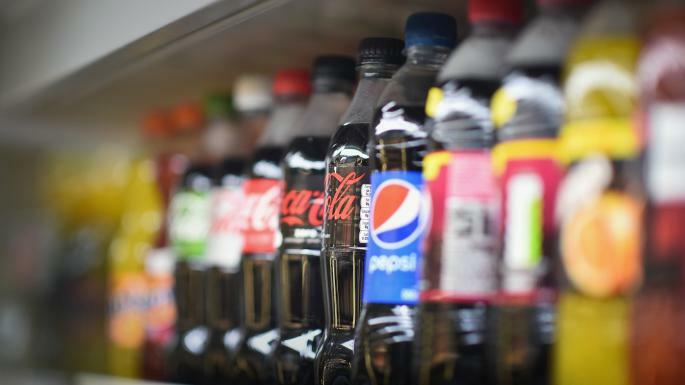 Drinks manufacturers and suppliers, who lobbied strongly against the tax, have claimed that it would have little or no effect on tackling obesity. A Department of Health spokeswoman said that how revenue from the tax was allocated was a matter for the Department of Justice.